ATTENTION DEVELOPERS AND HORSE LOVERS!!! Gorgeous horse farm with tranquil treed background. 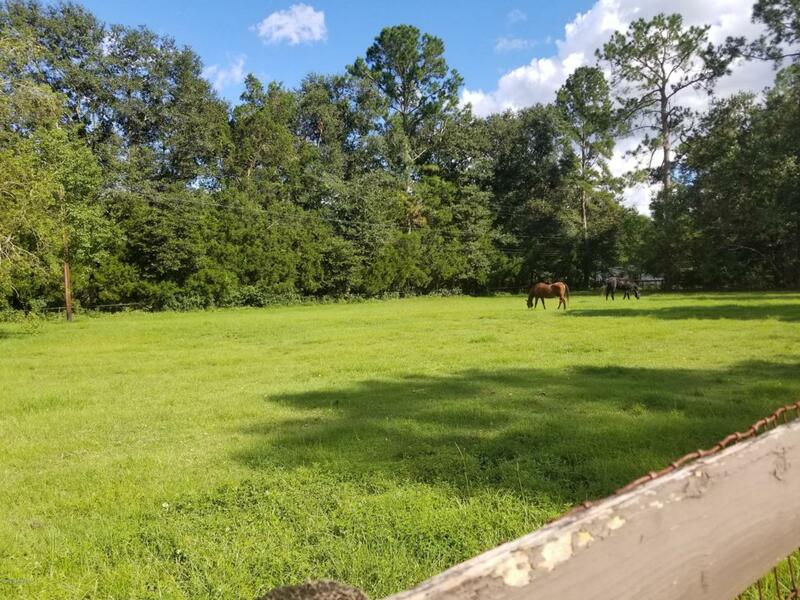 This property is perfect for the family that loves horses, needs multiple home sites for family, developer or purchaser that wants one-acre plus home sites, or developers that wants housing development. Just minutes from First Coast Expressway, Blanding Blvd, and Interstate 10. This fantastic property is just west of Brannen Field Village, St. Vincents Clay Hospital, multiple shops, restaurants, new Canterfield assisted living facilities, Oak Leaf Town Center, you have everything so convenient to this property. Interchanges for the First Coast Expressway is just short distance as well as nice uncrowded commute to interstate 10 for down town commuters. Peaceful tranquil location with large trees. Listing courtesy of Lee Daniell Realty, Inc.
© 2019 Flagler County Association of Realtors®, Inc. All rights reserved. IDX information is provided exclusively for consumers' personal, non-commercial use and may not be used for any purpose other than to identify prospective properties consumers may be interested in purchasing. Information is deemed reliable but is not guaranteed accurate by the MLS or Pepine Realty. Data last updated: 2019-04-19T21:46:01.42.